It starts with a bang. Six seconds. Then silence for a second or two. Then the next bang. And so on, for the first minute. Before I started writing this review, I had several different ideas on how to approach it. 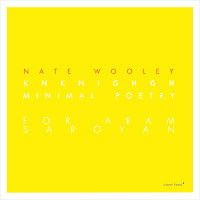 First there is the title "knknighgh (minimal poetry for Aram Saroyan)". Aram Saroyan is a poet and writer who is well known for his minimal and concrete poetic work. The title knknighgh (pronounced knife) is a reference to some of his short poems, which I learned from an article about the poet, since I had never before heard of him. 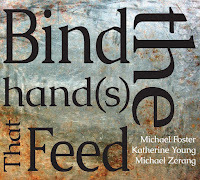 He plays with the spelling of words, and some poems are comprised of only one word with a changed spelling: "laughgh." 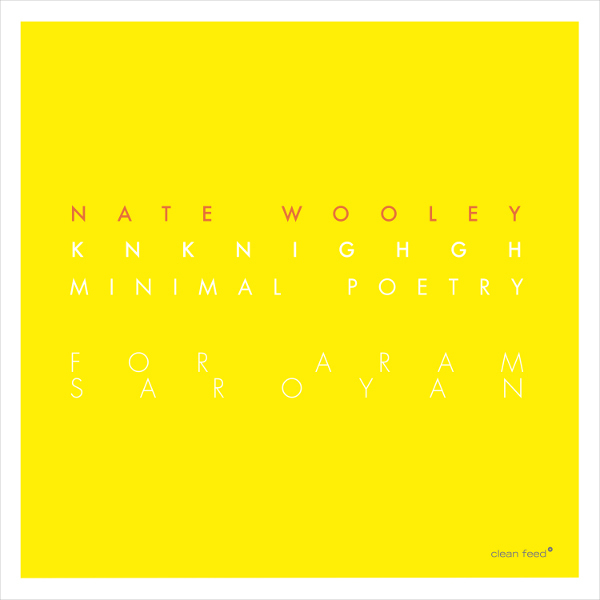 Nate Wooley dedicates his new album to this poet and his approach to poetry. So what are the connections? Can I hear them? 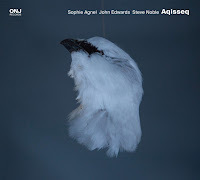 Is the connection within the way the four musicians use their instruments in slightly “incorrect“ ways, like Saroyan does with the letters in his words? The surprises he creates through his unusual manner? (And yes there are a lot of surprising moments created in the music). This answer would work with me but it does not sufficiently reflect the album. "The band uses short composed materials written by Wooley and those fragmented materials are looped and pushed to the limit, triggered by any of the players in whatever order chosen in the moment. 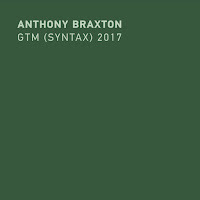 At first, the procedure seems to adapt some of the repetitive strategies of minimal music, and yet again, it doesn’t sound like minimalism, and neither it is a crossover between free jazz and minimal music." The question is can you hear and recognize it while listening to the record? I honestly don't know. I think I realize patterns and composed parts in the music but that might be because I read about it. Perhaps a more trained ear would find it a lot easer to point them out. But then again, maybe the whole thing isn't about finding composed or improvised parts. It's about listening to the sound that was created on the way the musicians took. Which leads me to my third approach. Listening to the album as it is. Nate Wooley on trumpet, Chris Pitsikos an alto sax, Brandon Lopez on bass and Dre Hocevar on drums play 5 pieces, all named knknighgh, numbers 3,4,6,7 and 8. So the first track 'knknighgh 3' starts with a bang and then silence and back again. I listened to the album in different situations and it made different impressions every time. I couldn't really get a hold of the music until I sat down with nothing but the music. And then it took me (almost by surprise). The way I interacted with this album depended very much on the setting I was in. While I was doing something else like reading (about Aram Saroyan for example) or taking notes, I skipped in and out of the music. Though I still liked it I felt a little lost these times. But listening to it with open ears and nothing else on my mind, it really got me. Maybe it is all about short pieces like the poems of Saroyan. Maybe it is all about the relationship between composition and improvisation. For me it is all about my listening habit and about commmunication. It felt as if I was witnessing an intimate conversation. A few minutes into 'knknighgh 3' something like a first solo by Chris Pitsikos begins, out of which a dialogue or rather a quatrologue emerges. You can hear the four individuals listening to each other, reacting and opening the space for one another. Then come silence and very quiet and intimate parts, and the communication especially between Pitsikos and Wooley shape the first track. This is not said to diminish the part of Lopez or Hocevar. But the sound of Wooley and Pitsikos in the first track was it that brought the thoughts of dialogue to mind. In these interactions, I hear sequences I think were part of the composing work that Wooley did before the recording began, but one way or the other, it wouldn't change my joy while listening. It's an amazing work of music. 'Knknighgh 4' widenes the range of conversations. There is more of Lopez and Hocevar in the interaction. And still it all sounds very lyrical and intimate (another connection to Saroyan maybe. To poetry). 'Knknighgh 6' intensifies the communication. There is a long and strong beginning with all four voices taking part at the same time. But without ever stopping to listen to another. More than in the first two tracks, you hear Hocevar using his snare, tom, and bass drum. 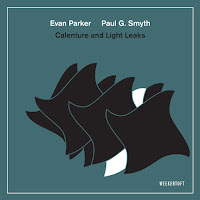 With all respect to the differences between the five pieces, it is a very lyrical and intimate collection of music. I recommend to listen to it in whole. You will experience a beautiful set of improvised and composed music, dedicated to and inspired by the poetry of Aram Saroyan. 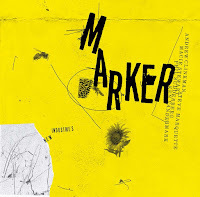 Regardless if you pick out all of the composed parts or some of it or none at all, or if know and like the poetry of Aram Saroyan or not, this album is a beautiful piece of art that you should listen to carefully, maybe with your earphones on and a glass of wine at your side. Great record, wooley is an incredibel artist ! !